The Archbishop of Canterbury has said he is perfectly happy if members of the Church of England convert to Catholicism, and that it can even be “wonderful”. “Who cares?” he says. “I don’t mind about all that. Particularly if people go to Rome, which is such a source of inspiration. I had an email from a very old friend, an Anglican priest who has decided to go to Rome. I wrote back saying: how wonderful! As long as you are following your vocation, you are following Christ. It’s just wonderful. 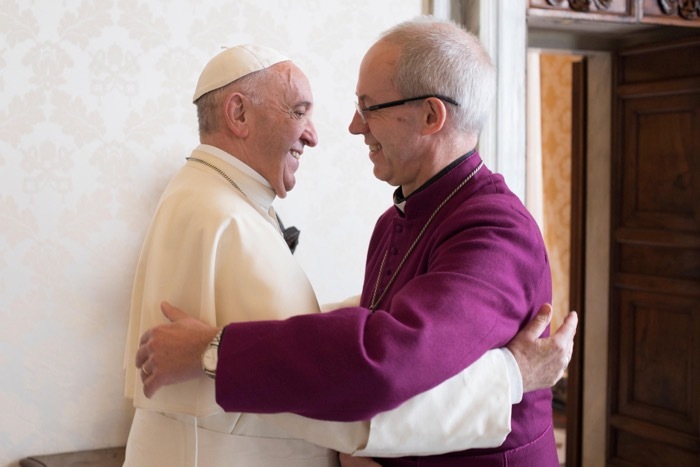 His interview comes as Bishop Brian Farrell, LC, Secretary of the Pontifical Council for Promoting Christian Unity, suggests that after a difficult year for ecumenism, the churches might be at a new “turning point”. Events that happened in 2018 to make the ecumenical task more difficult included, in the Orthodox world, the establishment by the Ecumenical Patriarchate of an independent Orthodox Church in the Ukraine. Another crucial test, he adds, was around intercommunion, and the German Bishops’ guidelines for admitting a Protestant married to a Catholic to Eucharistic Communion in some cases.